After GMA released their very own singing competition The Protege, ABS-CBN just started plugging their latest franchise of the popular The X Factor. Backed by 8 icons in Philippine music industry, Kapamilya's The X Factor Philippines will bring out the best in Pinoy singers and music lovers. 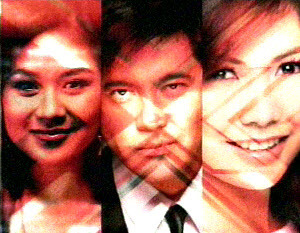 The eight Philippine music icons who are part of The X Factor Philippines are: Concert King Martin Nieverra, Mr. Pure Energy Gary Valenciano, Divine Diva Zsa Zsa Padilla, Pop Princess Sarah Geronimo, Pop Rock Princess Yeng Constantino, Rock Prince Jovit Baldovino, Singing Heartthrob Piolo Pascual and Mega Star Sharon Cuneta.